Oakland University’s enrollment increased 37% between 2008 and 2012, and due to this increase, the university was in need of more student housing. Oak View Hall, a 500-bed housing complex that spans 164,724 square feet, was design and built to meet the university’s housing needs. NFE provided professional land surveying, civil engineering and landscape architecture services for the new residential hall. NFE was responsible for all civil engineering plans, including demolition, paving/ grading, utility, storm drainage, soil erosion control, sanitary sewer and water main for the development. NFE’s services were coordinated with the project architect Neumann/Smith Architecture and others consultants. With the use of native plantings and water for the plantings sourced from an onsite cistem utilizing water collected from the rooftops, along with locally sourced material and an energy-efficient building design, the project earned LEED Gold certification. NFE also provided construction documents for the civil engineering portions of the project. 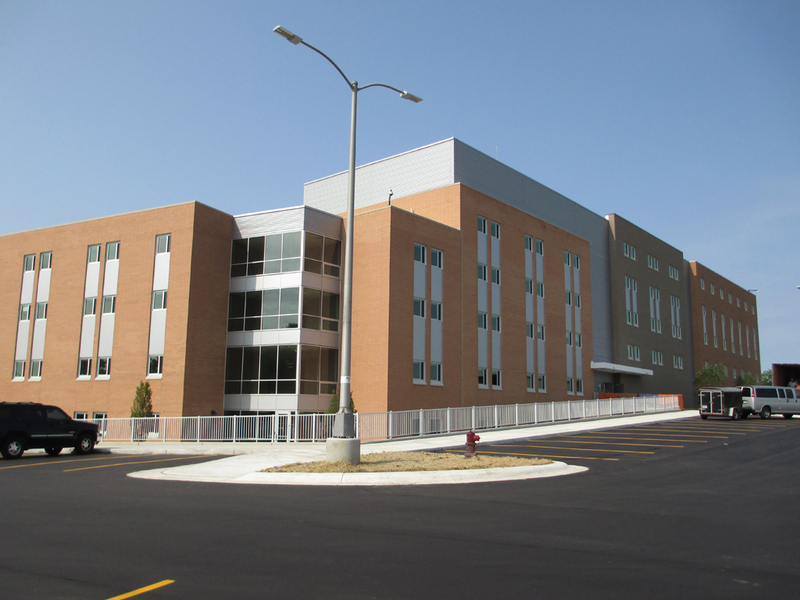 Construction started in July 2013 for Oak View Hall and was completed in September 2014. 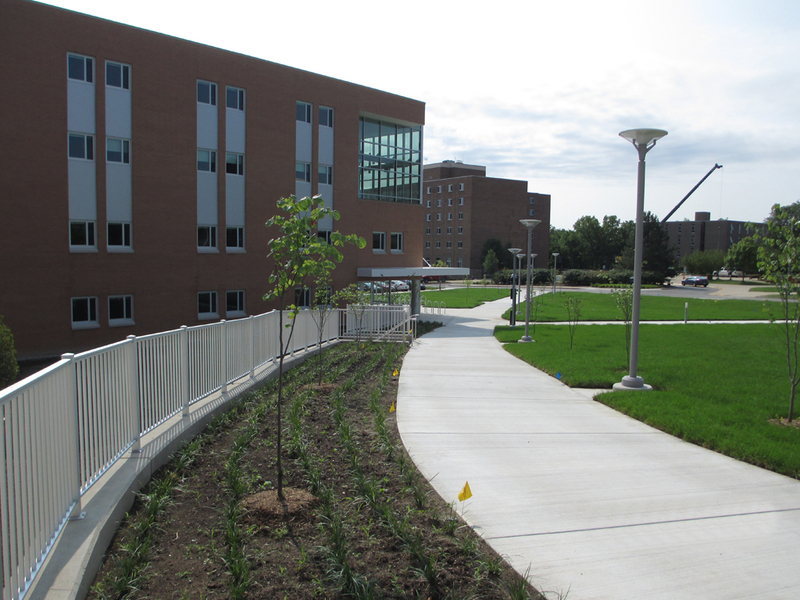 This was a fast track project that successfully increased Oakland University’s student housing.